Destination: Altofts Sports Club, Lock Lane, Altofts, Normanton, West Yorks, WF6 2QJ. Directions: Pretty easy to find, as Lock Lane is located just off Church Road, which is the main road that runs through Altofts village. And easily reached by car too, as it’s right next to the M62 (Junction 31 is about a mile and a half away). If you’re travelling by public transport, then the nearest rail station is Normanton, which is around half an hour’s walk away. So you might find it easier to get a bus from Wakefield or Normanton – either the 187/188, which goes down Church Road and so right past Lock Lane, or the 147/157, which goes to the junction of Church Road and High Green Road, which is then a ten-minute walk to Lock Lane. 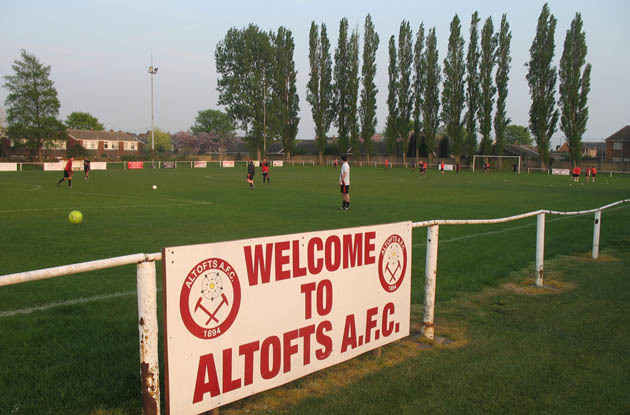 Off The Pitch: Altofts were formed way back in 1894, joining the West Yorkshire League, where they still reside to this day. Along the way they have won a number of local honours including the West Yorkshire League and the County Cup. Though their most successful period was from the early 1900s until the 1950s, they did finish West Yorkshire League Premier Division runners-up as recently as 1988-89. Since then, the club has yo-yo’d between the Premier and First Divisions, but currently resides in the top tier again. 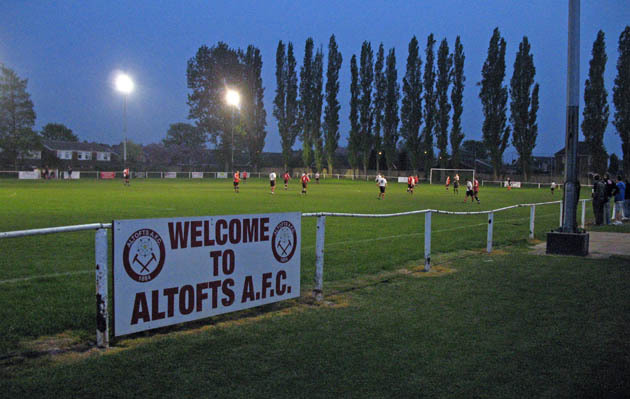 Altofts Sports Club is a very old location but with a modern feel for a ground at this level. The Lock Lane complex also includes a cricket pitch and a bowling green, and with the football pitch fully railed off and with one small covered stand near the halfway line (unnecessary tonight, but which becomes very welcome when it rains!). 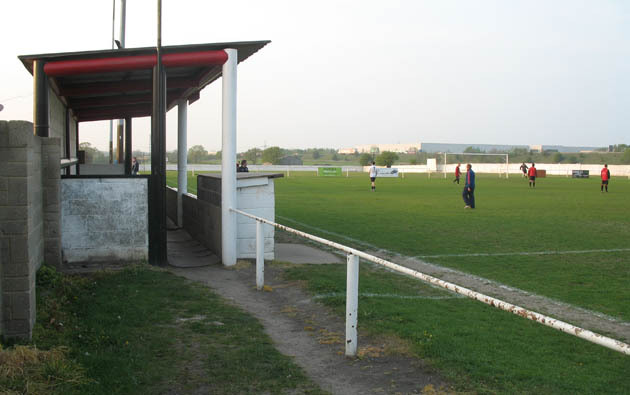 It is also one of a small number of West Yorkshire League grounds currently with floodlights, and couple this with the fact that the club also issues a basic programme, this makes it a local favourite among neutrals and ground-hopping types (one thing to bear in mind though is their midweek games all still kick-off at 7.30, despite conflicting info which suggests earlier kick-offs on the Full-Time FA website). On The Pitch: This was a great game to watch – in fact one of the best I’ve seen at any level all season. Bardsey are top of the league and an excellent all-round side: well organised, technically very good, and with no obvious weaknesses. The only real surprise is how they managed to lose a game (their only league defeat of the season) since I last saw them a week ago. From being near the bottom of the division early on, Altofts have improved as the season has gone on and now sit mid-table. Tonight they put up a good performance against the champions elect, which bodes well for them next season. I didn’t note down the scoring sequence, but IIRC it went 0-1, 0-2, 1-2 (h/t). 1-3, 2-3, 2-4, 2-5. 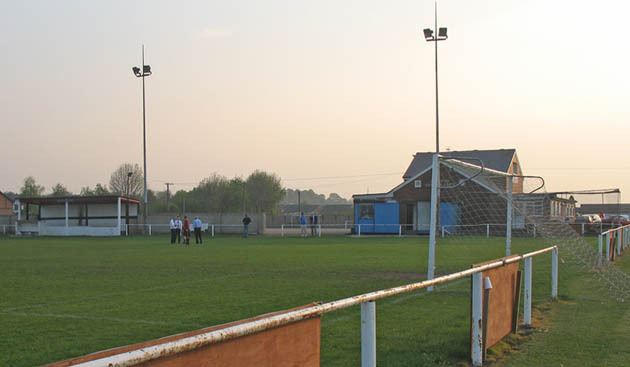 The best goal was Bardsey’s second – a thundering free-kick from just outside the area, scored by their no.10 Robert Dickinson, who went on to get 4 goals in total. Altofts stayed in contention though, till a slightly dubious penalty was given against them by the linesman with the score at 3-2. In summing up, I would recommend both the venue (with added bonus of a well-maintained clubhouse that opens before and throughout the game), and Bardsey’s current team as well worth a view. 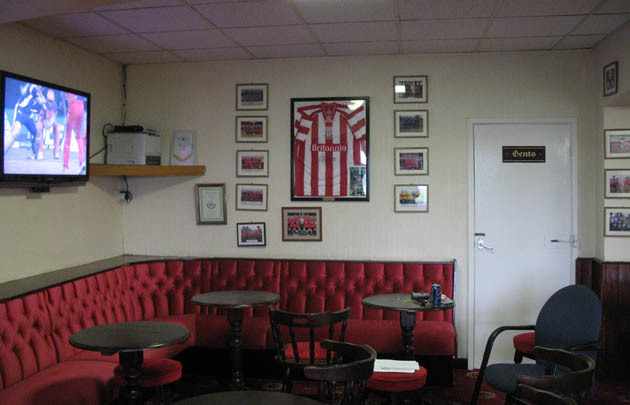 This entry was posted in A-Z by club (home team), Altofts, Uncategorized. Bookmark the permalink. What Became Of Leeds’ Likely Lads Of 2015?